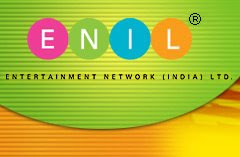 Entertainment Network India reported consolidated Jan-Mar 2007-08 net sales of Rs 120 crore, operating profit of Rs 18.4 crore and net profit of Rs 3.1 crore. Its radio business accounted for 51 per cent of the total revenues with an operating profit of Rs 18.6 crore. However, OOH and events businesses continued to post losses. With a total of 32 stations launched, ENIL has operationalized all its licenses obtained in Phase-II of the liberalisation of FM Radio regime. In addition to its 10 legacy stations, it has launched 22 new stations with its licenses and is presently amongst the top 3 players in the country. The 10 older stations have started gaining traction inspite of intense competition. They operated at an operating profit margin of 31 per cent as against the 6 per cent posted by the newer stations. Thus, the overall margins stabilized at 29.5 per cent for this segment. The OOH subsidiary witnessed an infusion of Rs 220 crore by Goldman Sachs, Lehman Brothers (Rs 100 crore each) and Rs 28 crore by ENIL at a valuation of Rs 1,200 crore. The management could capitalize the company further in the coming 2-3 years as it plans to scale up its business sharply.